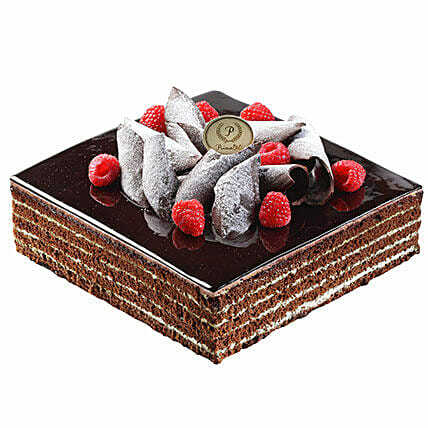 A square shaped chocolate cake is here with a difference for your taste-buds. Refreshing peppermint is added here in this sweet chocolate cake and this different taste would be enjoyed for its flamboyance by your loved ones. Get it for your loved ones now without any delay!